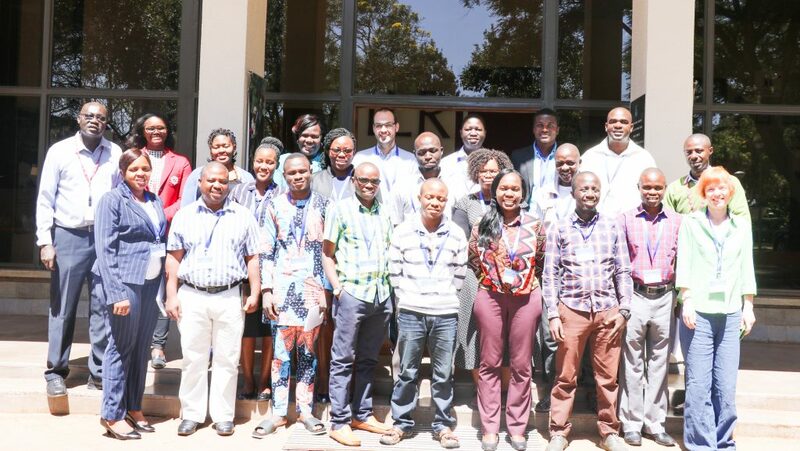 The Community Network for African Vector-Borne Plant Viruses (CONNECTED) formed a partnership with BecA-ILRI Hub in 2018 that led to a five-day full-funded training course for early career plant molecular biologists from across Africa. 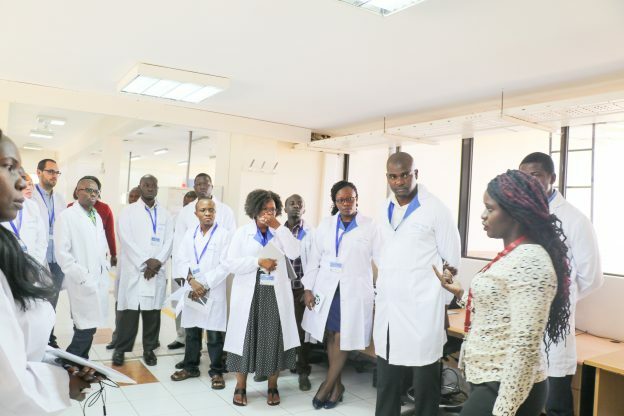 The course titled: An introduction to virus and vector diagnostics took place on 11-15 March and was hosted by BecA-ILRI Hub in Nairobi, Kenya. The course trained 17 participants from 10 countries, carefully selected after a call for early career researchers interested in virus and vector diagnostics was put out by CONNECTED and shared on various digital platforms. The trainers were Professor Neil Boonham from Newcastle University and Professor Gonçalo Silva from The Natural Resources Institute, University of Greenwich, UK. Their key objective was to empower the participants with the ability to diagnose cassava and yam diseases by empowering them with practical skills that can easily be used in their fieldwork. The training began with opening remarks from Jacob Mignouna, BecA-ILRI Hub’s Director: “This training highlights the functions and goals of our diagnostic platform, that is set up to provide knowledge and technologies to help researchers advance their career goals.” This was followed by an introduction of BecA’s technology platforms in a presentation made by BecA’s Technology Manager, Josephine Birungi and a round table introduction of the participants conducted by Julius Osaso, BecA’s diagnostic platform manager. 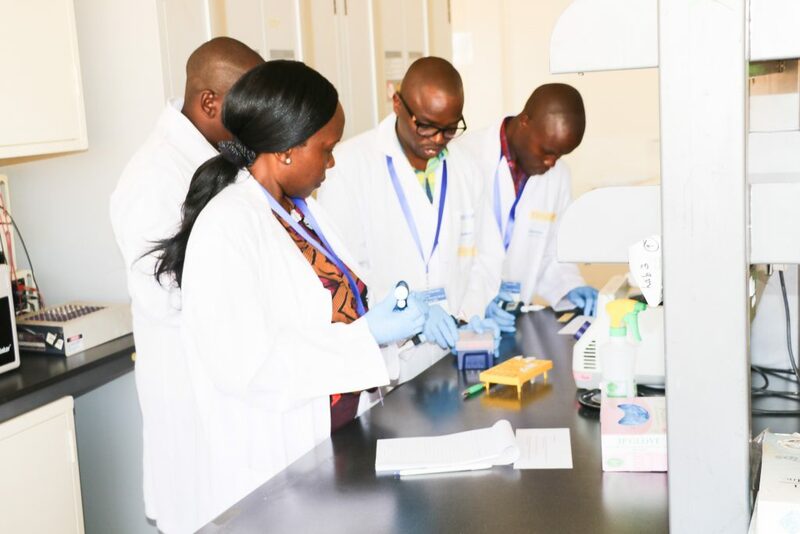 Professor Boonham then took the trainees through an introduction to DNA Bar-coding and instructed them on how to achieve high quality results to start off the training, which was followed by a lab induction by ILRI’s health and safety department (EOHS). After lunch, the trainees began their lab training that involved DNA extraction and PCR amplification. Over the next couple of days, the trainees were taken through gel electrophoresis, product purification, DNA prep for sequencing, LAMP and RPA amplification, Database searching and DNA clustering. The training sessions included a morning outline of activities and questions from the trainees, and a recap of the day’s activities and general questions at the end of the training days. “I am glad that this workshop has brought in participants from our partner institutions such as NACRRI with whom we already have on-going projects, but also the renewed opportunities for other partnerships.” Julius Osaso, Diagnostics Manager, BecA-ILRI Hub. “I am a trained entomologist with no prior experience on some of these techniques such as PCR and DNA extraction, which are very important to me and my project work, which is on aphids. I am grateful to CONNECTED because I can now integrate entomology and microbiology to reach greater heights in my career.” Honest Machekano, Botswana International University of Science and Technology (BIUST), Botswana. 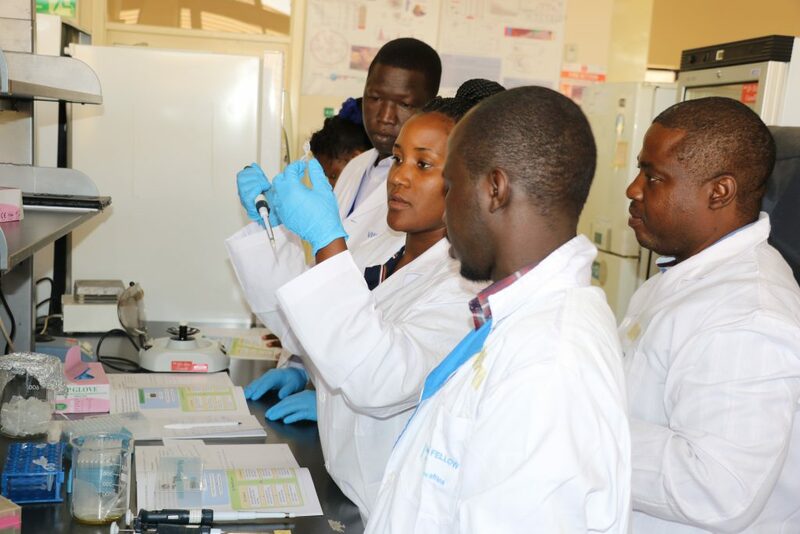 “The training has strengthened my skills, which is great for my career, I now know how to diagnose viruses and identify insect pests for plans, I will now be to identify what lies in resistant virus lines.” Fred Masika, ABCF alumni, Uganda. The course funding included travel, accommodation, course fees and subsistence. The participants came from 10 countries: Benin, Burundi, Democratic Republic of Congo, Ghana, Kenya, Nigeria, South Africa, Tanzania, Uganda and Zambia. The CONNECTED network is a project that is working to build a sustainable network of international scientists and researchers to tackle vector-borne plant diseases that devastate lives in Sub-Saharan Africa. Early career researchers who might be interested in similar opportunities are invited to join the CONNECTED network, which is free of charge by following this link.